Named after the Ahom kings who ruled the land of the mighty Brahmaputra, Assam is a region of astonishing diversity – ancient temples, UNESCO World Heritage sites, rich wildlife, vibrant culture, delectable cuisine and tea estates that stretch till eternity. Its bustling capital Guwahati, once a haat (marketplace) for gua (arecanut), hence the name, acts as a gateway to North East India. Like most visitors, our first stop was the Kamakhya Temple atop Nilachal Hill in the western part of the city. Seat of an ancient fertility cult, the temple is a revered Shakti pitha where a cleft in a rock is worshipped as the place where Goddess Sati’s yoni fell. In the rains, when the Brahmaputra is in spate, the rivulet flowing over the stone shrine turns turbid and red, symbolizing the menstruation of goddess Kamakhya. The sanctum sanctorum is closed for three days and reopens only after the goddess is purified with a ritual bath. 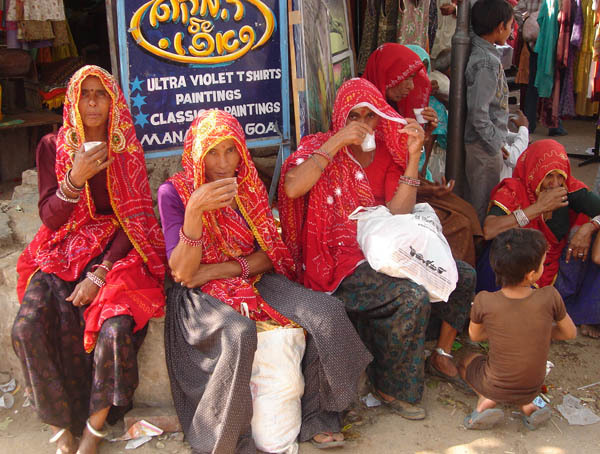 Devotees collect holy spring water and shreds of the angabastra (stained red cloth) as prasad. The week-long fertility festival Ambubachi Mela is attended by mystics and tantriks. Guwahati’s Kalakshetra, a tribute to Assam’s medieval poet-playwright Srimanta Shankardev, is the perfect primer into Assamese culture. Inside the sprawling campus, housed in ethnic buildings, is a treasure trove of traditional articles – murals, masks, silk saris, jaapi (traditional conical hat) and the red and white cloth gamosa traditionally used to cover the Bhagavad Purana, a holy scripture recited every evening in most households. 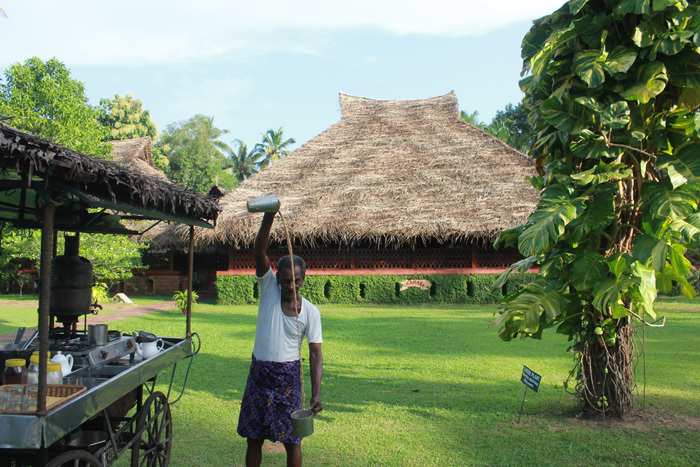 Guests are usually welcomed with a gamosa and tamul (betel nut), often served in a xorai or ornamental bell-metal offering tray, considered a cultural symbol of Assam. An open-air theatre serves as performance space for colourful dances like bihu while the Bhupen Hazarika Museum showcases 4000 objects owned by the maestro. We stopped by to savour local cuisine at restaurants like Parampara (excellent Assamese thalis) and Khorika, where a choice of chargrilled meats – fish, pork, chicken – is served in khorika or bamboo skewers with piquant mustard chutney. After a quick visit to the Navagraha temple, we caught the sunset on the Brahmaputra as it silently slithered in a wide swathe. Umananda, the tiniest river island in the world stood silhouetted in the fading light. The world’s biggest river island Majuli was also located on the Brahmaputra further upstream. A quick halt at the silk-weaving center of Sualkuchi and the pilgrim centre of Hajo to see the Hayagriva Madhava Mandir, and we set off on the Assam Trunk Road following the course of the river. The Brahmaputra is at its narrowest at Hajo (just 1km) but swelled up as we drove along. We marveled at the sight when our driver corrected us, “Ye nadi nahi, nad hai!” In a country where rivers are largely feminine (Ganga, Yamuna, Saraswati, Cauvery), Brahmaputra or the Son of Brahma stands out as a rare male river. As per mythology, Sage Shantanu’s wife Amogha had a child by Lord Brahma. The child took the form of water and Shantanu placed him in the middle of four great mountains — Kailash, Gandhamadana, Jarudhi and Sambwartakka. He grew into a great lake called Brahmakunda. Meanwhile, Sage Parashurama had committed the terrible sin of killing his mother on the instruction of his father Jamdagni. So grave was the offence that the blood-stained axe got stuck to his hand! After visiting several holy places, Parashurama came to Brahmakunda where he axed down the mountainside to release the waters for the benefit of locals. Lo and behold, Parashurama’s axe came loose and the blood was washed off, leaving a reddish tinge in the river, which was called Brahmaputra or ‘Luit’ in Assamese (from the Sanskrit word for blood). The history of Assam seemed to be written in blood as we reached Tezpur. Its ancient name Sonitpur too meant ‘The City of Blood’. Here, Lord Krishna battled Lord Shiva and his ardent disciple Asura king Banasura, to rescue his imprisoned grandson Aniruddha who loved Banasura’s daughter Usha. There was so much carnage, entire rivers of blood were spilt and the whole place was stained red. While not much remains of the Agnigarh fort, Tezpur is a good Launchpad for Nameri Wildlife Park nearby. Amid impeccable tea gardens, we were based in the 1875 angling bungalow Wild Mahseer Lodge at Balipara for our explorations along the Jia Bhoroli river for the prized White-winged Wood Duck. 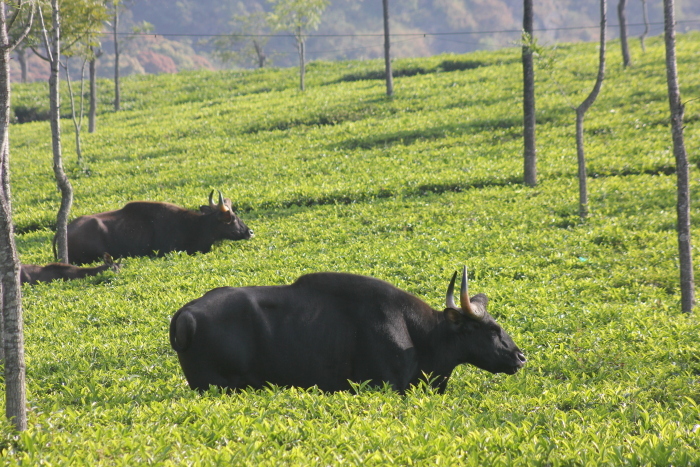 But the jewel in Assam’s crown is Kaziranga. Spread over 430 sq km and often compared to African parks for its wide open tracts and quality of wildlife viewing, Kaziranga is the Land of Giants. Home to the Big 5 – elephants, tigers, Asiatic water buffalos, swamp deer and the world’s largest population of the great one-horned rhinoceros, Kaziranga harbours 15 threatened mammal species. We checked into Wild Grass Lodge, one of the pioneering jungle lodges in the region. For two full days, we explored the park’s three ranges on jeep drives, elephant safaris, wildlife sightings from machaans (observation towers) and birdwatching trails in buffer zones and tea estates. A magical river cruise on the Brahmaputra revealed Gangetic dolphins, before we continued our road trip to Jorhat. 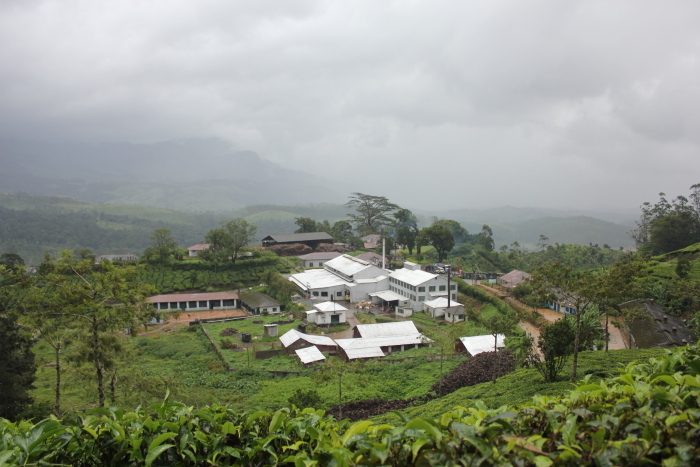 Our base was the heritage tea estate bungalow Thengal Manor, ideal for forays to Hoolock Gibbon Sanctuary, where animated hoots announced the presence of India’s only ape, the Hoolock Gibbon. In 1794, Ahom King Gaurinath Singha shifted his capital from Sibsagar to Jorhat but a series of Burmese invasions from 1817 destroyed the commercial metropolis. 1823 heralded the arrival of the British and it was Scottish adventurer Robert Bruce who introduced the Assam tea bush to Europe. While trading in the region he found the bush growing wild and noticed local Singhpo tribesmen brewing tea from its leaves. The British East India Company took over the region from the Ahom kings in 1826 and after leaves from the Assam tea bush were examined in the botanical gardens in Calcutta, the first English tea garden was established at Chabua in Upper Assam in 1837. 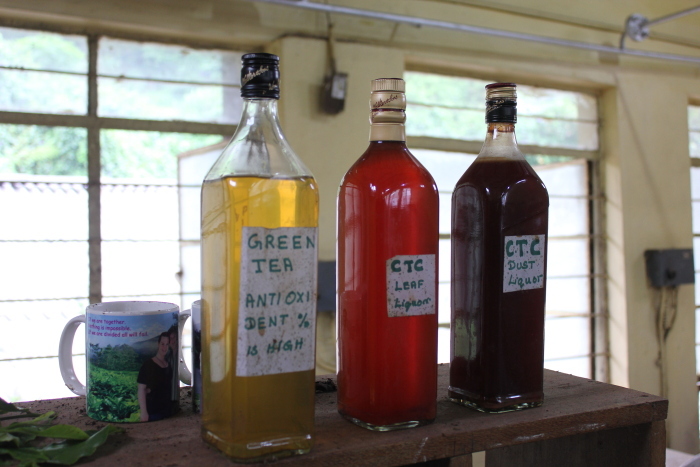 From Jorhat to Dibrugarh and Margherita, this is Upper Assam’s premier tea county. 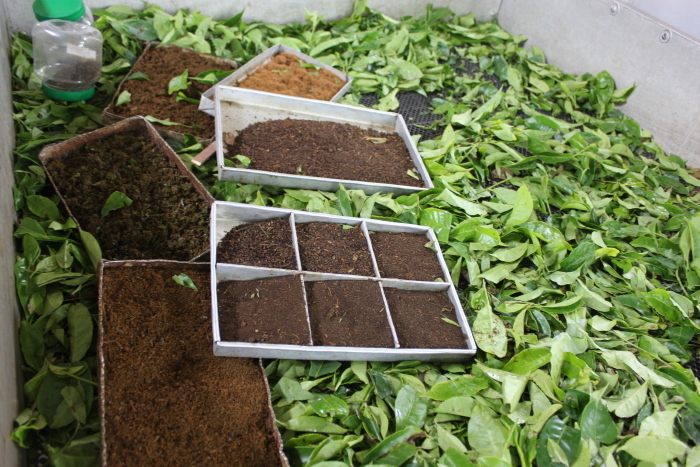 Local conditions are ideal for growing tea. The low lying floodplains in the valley of the Brahmaputra river has clayey soil rich in nutrients. The climate varies between a cool, arid winter and a hot, humid rainy season with the lengthy growing season and generous rainfall making Assam one of the most prolific tea-producing regions in the world. 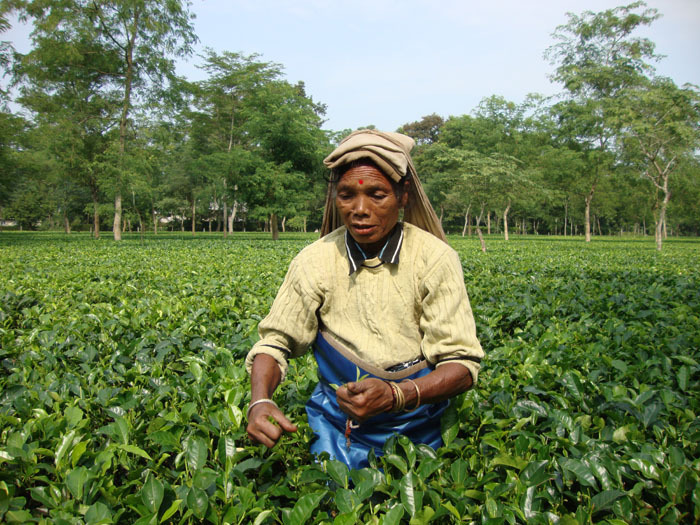 Each year, Assam’s tea estates produce nearly 6.8 billion kg of tea! An assuming town, Jorhat was the first town in Upper and Central Assam to have electricity in 1923. The first aeroplane landed on north-eastern soil in Jorhat in 1928. Jorhat Gymkhana Club is the oldest golf course in Asia and third oldest in the world. And the world’s oldest and largest Tea Experimental Station Tocklai is located in Jorhat. We enjoyed the life of a retired planter at the Burra Sahib Bungalow and learnt the nuances of tea tasting at Sangsua Tea Factory, before continuing to Nemati Ghat for the ferry to Majuli. Packed to the rafters with passengers, cycles, motorbikes and cars, the ferry disgorged us at Kamalabari Ghat from where a van deposited us at Garamur. Staying in French-designed huts of bamboo and thatch, we savoured the rustic hospitality of a Mishing family and explored Majuli on a hired bike. 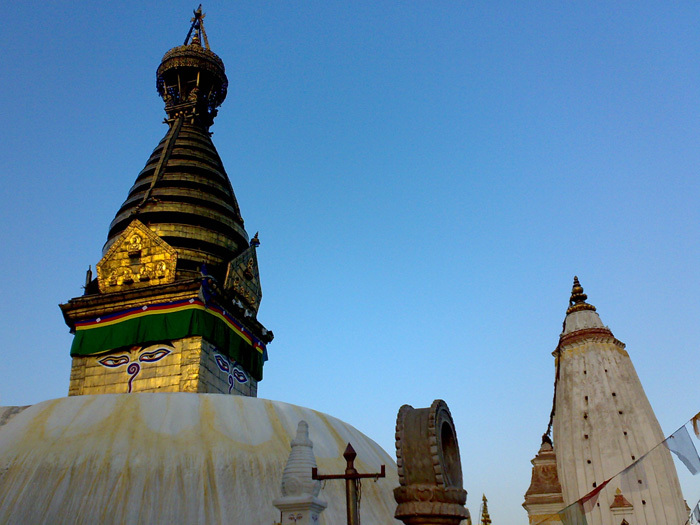 Many of the centuries-old satras (Vaishnava monasteries) were established by Shankardev and his followers. Each satra was devoted to a particular art or craft – Chamaguri specialized in masks while at Auniati we witnessed apsara nritya and other dances. Our visit during the annual Raas Leela in November was perfect to witness night-long theatrical performances. Sadly, each year the Brahmaputra relentlessly devours the island bit by bit, making it a fragile vanishing ecosystem. The blazing sunsets on Luit Ghat seared on our minds, we reluctantly bid adieu to Majuli and stopped at the ancient Ahom capital Sibsagar with its lakes and temples. 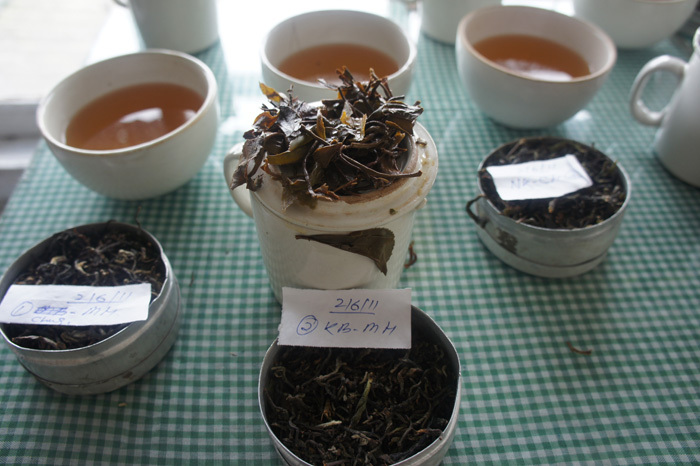 The next morning, it was with a sense of achievement we sipped our full-bodied Assam tea at the Mancotta Chang bungalow in Dibrugarh. It was shockingly late for breakfast but then, tea gardens in Assam do not follow the Indian Standard Time. Bearing in mind the early sunrise in this part of the country, the British introduced a system called Tea Garden or Bagan Time that was an hour ahead of the IST! The moments stretched like the unending tea gardens and our sips were long and languorous. This indeed was slow travel or ‘laahe laahe’ (no hurry) in the local lingo. After all, this was Bagantime. Authors: Anurag Mallick & Priya Ganapathy. This article appeared in the Oct-Nov 2016 issue of India Now magazine.